When it comes to email marketing, your revenue potential is directly proportional to the number of people on your list. And for my online store, the more emails I collect, the more money I make. It’s that simple and email accounts for over 20% of my sales. Email is also one of those mediums that can be tapped over and over again to attract repeat customers, establish your brand, and humanize your business. Anyway because email is so important, I spent some time last month optimizing my email capture forms for BumblebeeLinens.com and drastically improved my email signup rate with a spin to win popup from Privy. Today’s post will outline the exact steps I took to improve my email optin rate by 131% which led to a double digit gain in email revenue. First off, every online store should have a popup form. I don’t care if you’re against popups or if you think they are annoying. They work and that’s all that matters. In the event that you are making decisions based on personal preference, stop what you are doing, run a simple test and trust the data. Note: Google introduced an interstitial (popup) penalty for mobile browsers so the changes that I’m talking about today only apply to desktop and tablet. For the past 2 or 3 years, I’ve been running the following popup form on both my store and my online store blog. This popup goes out to all visitors on the site after 20 seconds and converts at 1.6%. For all of you who are not familiar with our store, our bread and butter products are wedding handkerchiefs targeting 20-30 year olds who are engaged. We also sell a lot of linen napkins and towels to 30-40 year olds. 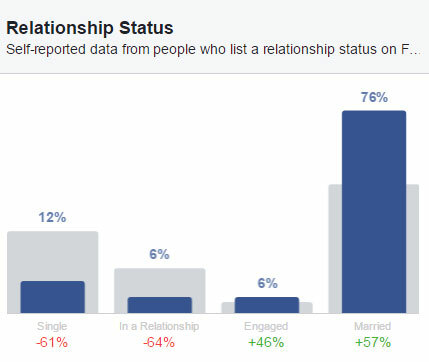 However, Facebook insights was telling me that our intended demographic was NOT signing up for our list! Editor’s note: Our free ebook email subscribers DO buy a lot from our store. And Facebook insights actually brought to my attention a brand new customer demographic that I was not aware of. Make sure you use Facebook Insights on your email list because you may discover an untapped base of customers you didn’t know you had! For example, I had no idea that 55+ year old women were avid fans of our products. One, I could try to write an “all encompassing ebook” to cater to as many customer types as possible. Or, I could display different lead magnets based on customer behavior. In the end, I opted for choice #2 because it was faster and simpler to implement. Also because my wife and I have been blogging for a long time, we had a lot of content at our disposal to quickly assemble another ebook. Anyway my first objective was to improve email signups for our linen towel and napkin customers. 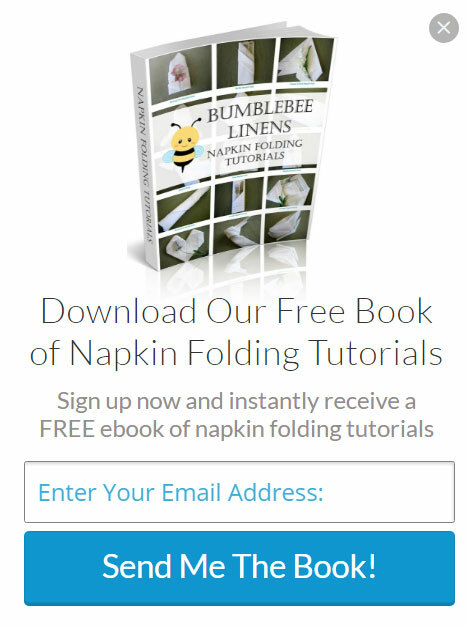 So I created a separate napkin folding tutorial ebook and only offered this lead magnet on napkin related product pages. Here’s what that popup looked like. At this point, I had 2 lead magnets and 2 popups. So I ran our standard arts and crafts popup to hankie shoppers and our napkin folding popup to napkin shoppers. In addition, I changed my popups to exit intent along with a 20 second timer which caused the popup to fire more often than before. 2.0 – 1.6 / 1.6 = 25% increase which wasn’t bad! In addition to the popup change, I also created a completely separate email autoresponder sequence specifically tailored to napkin folding signups. I let this dual popup setup run for a few weeks and I was generally happy with the results until I started chatting with Steve Weiss of MuteSix.com. Anyway, he showed me one of his client websites that was getting an insane signup conversion percentage based on a wheel of fortune concept. 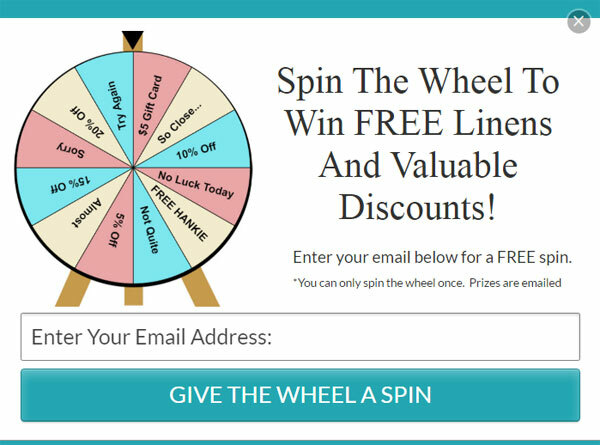 Basically, customers would provide their email in return for a spin of a wheel where they could win valuable prizes such as discounts and free products. I saw this and immediately wanted one for my site! But there were 2 problems. One, the plugin that Steve’s client was using was based on Shopify and my store was not compatible. Editor’s Note: For some reason, I’m strongly against paying for any basic tool that carries a monthly fee:) For example, if I feel that I can write the same tool within a weekend, I’ll just create it myself. So that day with the help of Ben from Privy.com, I sat down and created my own wheel of fortune plugin for my online store for free! And it only took about a day. Refresh your browser to spin again. Cool right?!? Everyone loves to gamble and the best part is that this popup applies to ALL of my customers! Anyway, I placed this wheel behind an email wall using Privy.com. 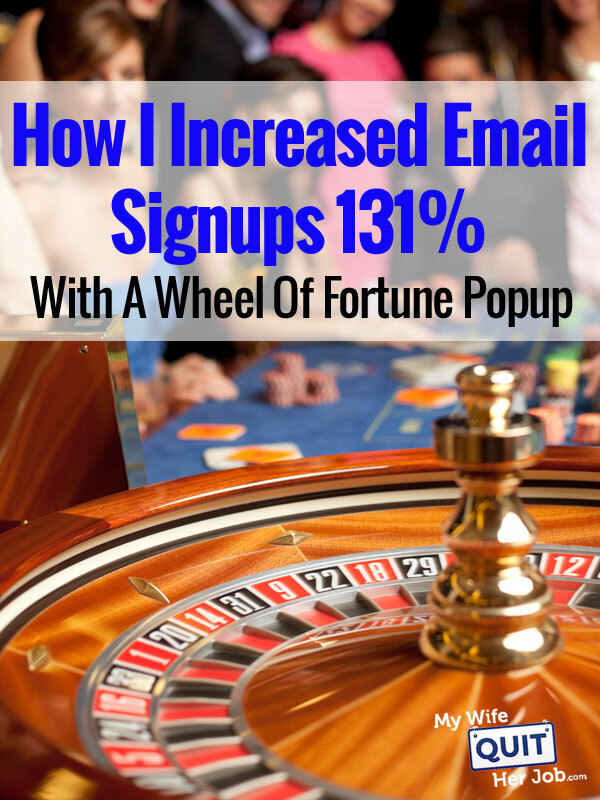 And the upshot was that my email signup rate shot up to 3.7% which was a 131% increase! While I would love to take credit for my wheel of fortune, I only implemented a small percentage myself. And even though I was prepared to write this baby from scratch, I found many FREE wheel of fortune implementations online with a couple of simple Google searches. Rule number 1 of software. If someone else has done the work for you already, then don’t reinvent the wheel. I do not want to get too technical in this post, but if any of you have questions with the Privy integration, let me know and I can add a little more detail. But bottom line, tell your developer to use Privy to set browser specific variables to create an email gate. Good luck! This wheel has performed amazingly for my site and I encourage you to give it a try! Also while you are at it, here are some other posts that I’ve written in the past about growing emails in the context of a blog that you should check out in addition to today’s article. I have been wracking my brain for months to come up with a freebie to get emails and this is PERFECT! What is privy and can I use it on my wordpress site? I’m really excited to learn how to do this! Find your target audience: marketing 101. Wonderful job, it shows that, small tweaks can read huge rewards. Keep up the great work, I can’t get enough of all these crazily good tips. My blog is relatively small, so I don’t use email lists. I just don’t see the point in having a list of 30 subscribers when most of my readers go to the site to read blog posts anyways. This was an interesting read. My blog isn’t quite a shop so getting people to subscribe isn’t a big priority, but it is always nice to have this knowledge for down the road incase anything changed. My Blog Ease Bedding Dot Com is doing really good, but still I am behind to increase email signups. I ran wheels from http://www.listagram.com with amazing results as well. I think you should write comparison of Wheelie (Shopify), Listagram.Com (Multiplatform), and Lucky Wheel (WordPress), and Privy!